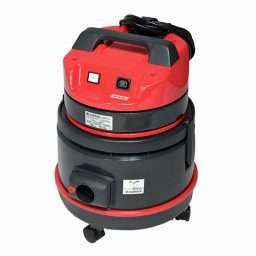 The The Roky 103 is a heavy duty vacuum cleaner designed for use in the commercial and hire industries. This high performance commercial vacuum cleaner has a powerful motor mounted above its 19 litre high impact PVC tank to give the unit greater suction and more efficient air flow. Features also include follow me wheels, a hose with swivel to allow easy movement and variable suction control. Clean up and maintenance is easy with this commercial vacuum cleaner as it’s been designed with the operator in mind.